Most of you probably know that the Burj Khalifa in Dubai is the tallest building in the world standing at 2,716 feet (827.8368 meters). However if you have followed recent architectural history a little, you may have noticed that such titles do not usually last very long. 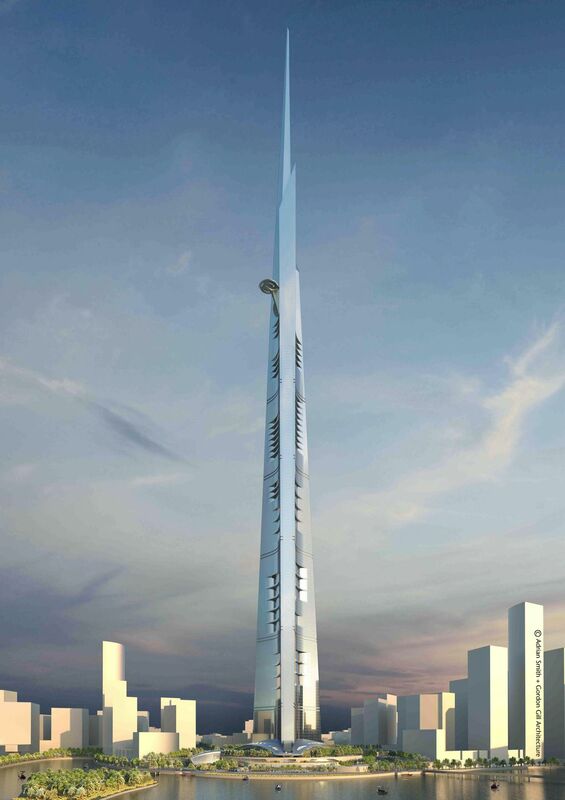 This time the architects of the world famous Khalifa are looking to one up themselves by designing a building reaching ONE KILOMETER in height. The skyscraper (is it even fair to call this a skyscraper) named the Jeddah Tower (or Kingdom Tower) will rise vertically to at least 3,280 feet (about 999.744 meters) and will be constructed in the newly planned Jeddah City in Saudi Arabia. $2.2 billion have been secured for the construction of Jeddah City and the tower itself is estimated to cost about $1.23 billion. 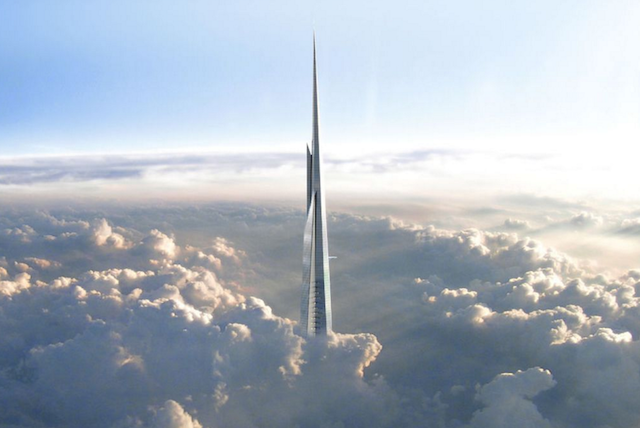 Ardian Smith + Gordon Gill Architecture designed the Jeddah Tower and have made it truly exquisite. The designs borrows from concepts used in the Burj Khalifa but still remains distinctly different. The design is said to represent “a new palm about to spread its fronds”. Currently, the building has been constructed up to the 26th floor and will extend all the way to 200 floors by the time it is completed. The structure will be used for offices, apartments and a Four Seasons hotel. The Jeddah Tower’s location near the Red Sea posed some hurdles for the architects due to the strong winds and nearby saltwater. The issues have been tackled with foundations going 200 feet deep and a silhouette designed to shield from the wind. Regardless of all the engineering feats we have seen in the past few years, a building one kilometer high is still a figment of imagination. Once at the top, visitors will get a view like no other and will also be able to see the sun set and rise twice (this can also be done at the Burj Khalifa using the high speed elevators). Samsung Galaxy SIII VS iPhone 4S Drop Test. Whau, 1 km high. That is just crazy and very impressive at the same time.